Today marks the end of Christmas and we celebrate Epiphany. Epiphaneia (greek) literally means manifestation. In today’s language, “epiphany” is used to express a sudden realization or breakthrough in thinking. Epiphany also commemorates the visit of the magi (plural form of magus or magician), or commonly called “three kings,” who visited Jesus after his birth. It is only found in Matthew’s gospel and would have been striking to Matthew’s Jewish audience. The story of pagan gentile magicians coming with gifts of worship would have been a bit scandalous! There is a good bit of church tradition about the visit of the magi, but the text itself is rather short. We know they came from the east, but how far east? 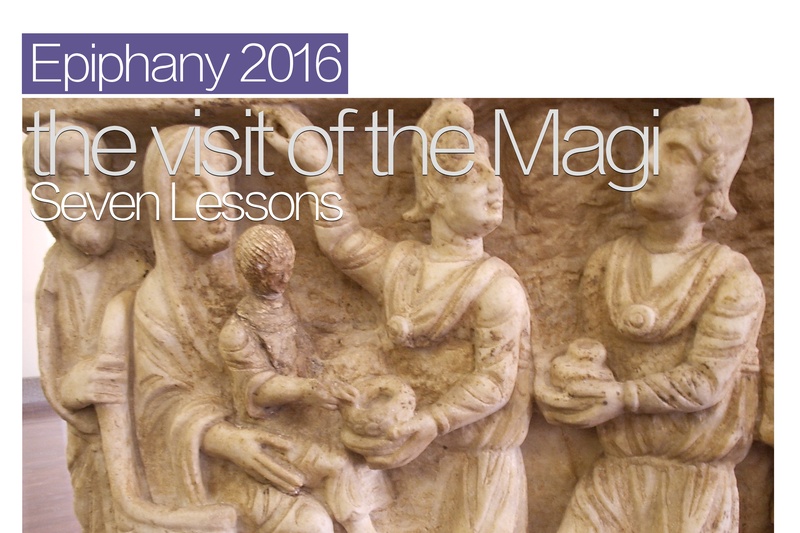 We know they brought three gifts, but how many magi were there (some traditions say at least 12)? We know that they followed a star, but how did this star appear and how did it descend just above the dwelling where the holy family could be found? Some say they were Zoroastrian priests. Syrian Christians gave them Persian names and origins. Chinese Christians believe at least one of them came from China! The magi might have been scholars or from a noble background (they had gold and anointing oil). They may have practiced medicine (Myrrh was used for medicinal purposes among other things). And, they may have been on an official mission to find the next kings with whom they could form quick alliances (a team of “king-makers”). They were actively seeking. God’s grace and mercy are equally available to all, but it must be received. This is the idea behind one of Jesus’ pet phrases, “let those who have ears, hear.” God’s revelation goes out in universal and particular ways… but we must act on it. These magi were hospitable and responsive to God’s Word as they received it. There were not religious insiders and likely did not become religious insiders. Imagine the commotion when the magi and their caravan showed up. Did they even speak a common language as Mary and Joseph? Were there awkward moments of cultural faux pas? How did they eat together or share each other’s stories? And, what religious or spiritual information did they leave with? Without a copy of the Torah (it’s not like they could have borrowed one from the Bethlehem synagogue) or any New Testament writings (they wouldn’t have been written yet), how did they bring back and contextualize their experience to their own people? Inevitably they found a way, guided by the same Spirit of God that had led them all along. Guessing from the New Testament pattern, it did not require becoming Jewish. They were willing to make a break with their past. Their experience still must have required some break from their past. Did they leave converted monotheist? Did they take stop doing magic or divination? Did they adopt spiritual forms with which they came into contact? Undoubtedly, their experience was a decisive moment and required sacrifice and new allegiance. They were discerning. Notice that they were received in Jerusalem by Herod (the Roman appointed ‘overlord’ of the Jewish province) and the priests (the religious leaders). There, they were able to get the information they needed and yet, with God’s help, evade Herod afterward. They took risks. Certainly, journeying across foreign lands was in itself risky. Did they ever run out of supplies? Were they ever not welcomed or even attacked? Double-crossing the Herod (who received them, helped them, and likely gave them supplies) was a high-stakes game. What did they risk going back to their own people? Where they socially rejected at first? Lastly, They didn’t travel alone! I think the image of these guys rolling into town with camels, tents, and supplies, is a fun one. Of course, it was obvious to them—no one traveled alone. You would be an easy target for bandits, vulnerable to the elements. So they traveled together, surrounded in community. They had people to talk to, to pray with, and bottom line… people to rely on. Will not the deepening darkness, brighten the glimmering star? On such hope-filled hearts, God’s light shines down. Remember, Christmas is about Christ’s Mission. “Christ’s mass,” literally means “Christ’s sending.” May Christ’s light, which has come to us, go forth us in the same way it did these extraordinary seekers! 20CMB16 to you – Christ Bless your house in 2016! *an Epiphany tradition is to write this in chalk above your door post… Christus Mansionem Benedicat, latin for Christ bless this house.